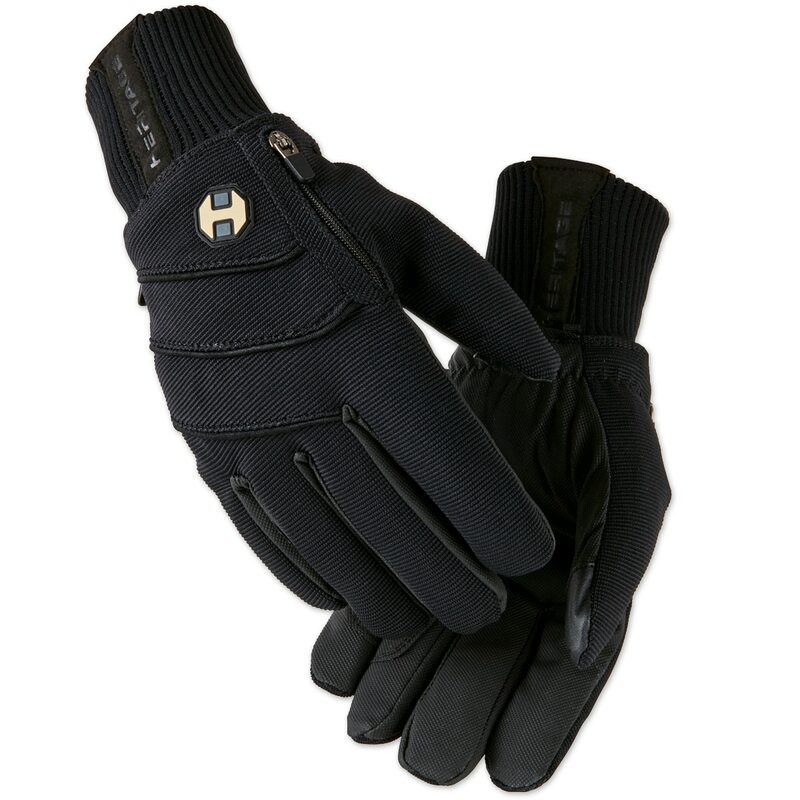 The Heritage Extreme Winter glove was designed for riding in the coldest weather conditions. The Extreme Winter glove is made with all waterproof materials, 3M Thinsulate® insulation and Polar Fleece liner making this one of the warmest riding gloves available! Heritage Extreme Winter Gloves is rated 4.1 out of 5 by 63. Rated 3 out of 5 by Sonja from Nothing EXTREME about them In my opinion, these gloves are at best a fall weight glove. Severely lacking in insulation in the palm and fingers. My hands got cold in 25 degree weather mucking and feeding my horses. I ordered 1 sz up as many reviewers stated they ran small. They are too big for me so I would say they run more true to size. I usually wear a 7, I ordered an 8 and they are too long fingered and too wide. If they had more insulation I would have at least given them 4 stars since they haven't gotten wet from being in the snow and rain, but without that insulation, they only get 3 stars. I would NOT recommend them for winter gloves. For now, I'll stick with my ski gloves even though they are a bulky for use with reins, they're warm! Rated 4 out of 5 by Beatrice from Warm durable winter gloves! Wonderful gloves, very warm, durable, and great grip!! They currently are a little too puffy for riding with careful rein contact, but great for everything else. Just a little tight around the wrist, which seems consistent across sizes - definitely not going to let the snow or ice in! Rated 4 out of 5 by OTTBMom from Great gloves for keeping your hands warm! These are a little bulkier than I wanted, but did keep my hands warm and I could still hold the reins. Runs slightly small. Rated 5 out of 5 by Andy FTer from LOVE Them!! I had seen somebody on facebook mention how great these gloves were, so I gave them a try. I love them!! The pocket for a hand warmer is a fantastic feature!! The first few times I wore the gloves they were pretty stiff, but after a few wearings they are great. The touchscreen fingers don't really work well for me, but that's not a big deal for me. Over all I can't say enough great things about these gloves!! Rated 1 out of 5 by JLD1016 from Very Uncomfortable These gloves run very small, are uncomfortable and almost impossible to do anything with. 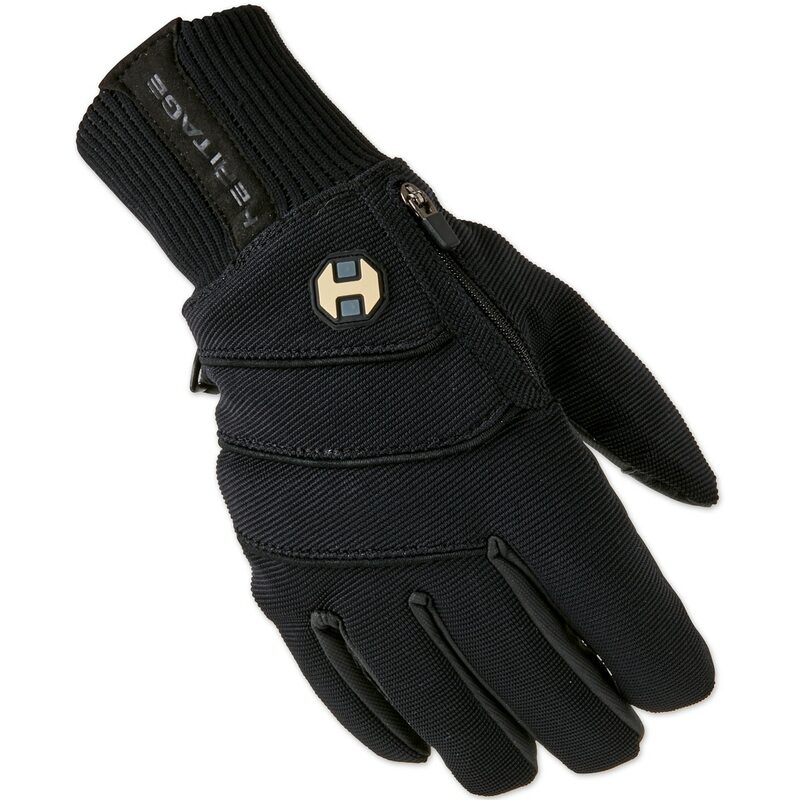 Rated 3 out of 5 by Emily from Warm Gloves, bulky I like this gloves for hacking and barn chores. However, they are bulky. I fox hunted in these because I lost (okay, temporarily unaccounted for...!) one of my leather SSG winter gloves. It was a struggle at times with a fat braided fox hunting rein. Had I been hunting on my other horse who hunts in a Weymouth, I don't know if I could've handled two sets of reins with these. That being said, they were super warm and had great grip. I didn't find the cuffs too short as some have mentioned. Depends on preference. I do not recommend these gloves for serious schooling or hunting, unless you have really narrownreins and don't mind feeling desentizied to the slightest feelings that come through the reins. I love the hand warmer pocket feature! Rated 5 out of 5 by dukie68 from Nice quality I love how you can use the hand warmer, as I use these gloves in frigid weather to do chores and remove snow. Would prefer the cuff was as long as the SSG10 Below gloves. I took a size 7 in SSG10, but these I take a size 6 and they fit perfect. I do have small hands and shorter fingers. Rated 4 out of 5 by magsnpaige from Very Warm These gloves are very warm, but they are a little too bulky to ride in. For example, I wear a size 7 in roeckl's, but in this glove I think I could have gotten a 6. The glove is indeed waterproof - I removed hay from a water bucket and my hand stayed dry. These gloves are ideal for trail riding/barn work, but I think they are too thick to jump in. The hand warmer pocket is also nice, and the wrist area is nice and secure so you dont have to worry about water/snow falling into your sleeve. Rated 5 out of 5 by Carrie B from Love the glove! I had to return the first pair because they were too small sorry run a bit small, but they were worth the wait. I love the rubber palm for gripping and the zipper pouch for the hand warmers. They were durable enough to double for chores after the ride so no need for a 2nd pair.